"Between the devil and the deep blue sea....."
Grab your gun and get ready to take back the island! A rebel faction of the Red Army has assumed control of a peaceful island and reduced the indigenous population to zombies out for your flesh. to smash through the Red Army and it's zombie followers for a chance to wipe out Red Leader, The most heartless commander the Red Army has. It won't be easy, but if anyone can do it, you can Blue Soldier! Experience an arcade style top down shooter re-imagined for the iPad! When your finished with story mode, take on zombie survival for destructive excitement or versus mode with a friend and see who is the best soldier! - single player game with 14 missions/3 boss missions! - difficulty levels of "normal", "hard" and "impossible". - spend your hard earned medals in the the blue headquarters shop for boosts! 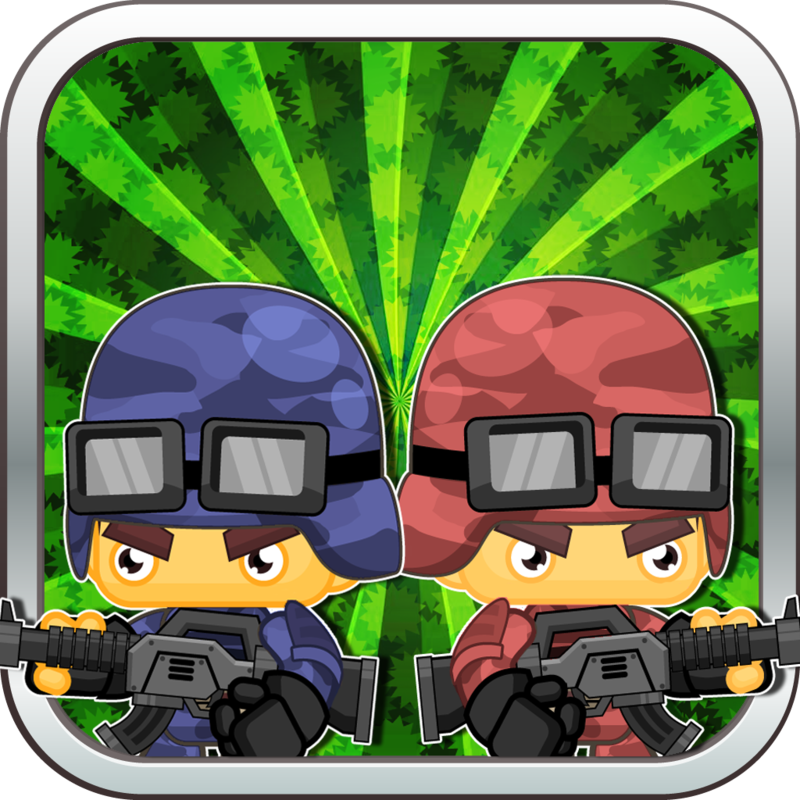 - use mines, missiles, bounce, speed up and extra health to fight enemies! - 2 player versus mode on single screen with two maps. - zombie survival mode where Blue Soldier stays alive as long as possible to score points! - high score saving for survival mode and gold medals from single player. - no ads and no in app purchases! Just play the game! - Eleven more stages for single player! - Three new weapons: 3-way shot, long shot and Tesla gun! - Zombies will explode and shoot green slime!